Please note: I’m still in a bit of a fog from MuseomixUK, please excuse typos/grammar errors – I’ll fix when I re-read with fresh eyes. Wow – and no I don’t mean Team 5s Wonder of Water – I mean WOW! We did it! Last year, I came back from Museomix knowing I had to bring this experience to the UK. Would people understand? Would people show? Would they get what I got from the experience? I think I speak for all of Orga team when I say ‘Holy Smoly!’ Or Beeep beep beep beep! 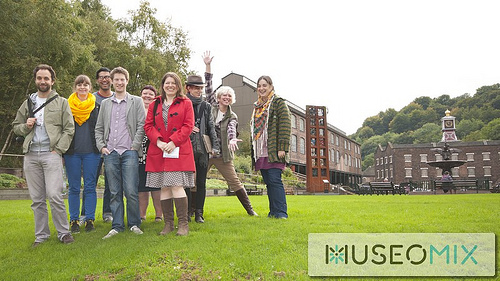 The following is a fast forward version of MuseomixUK. There are going to be people who read this thinking I forgot this part, or missed this part – rest assured I didn’t forget anything! Anyone who is trying to capture MuseomixUK in a post will know the struggle of adding everything. 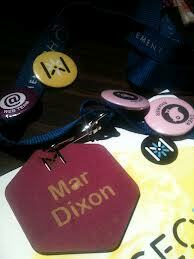 During the introduction we warned people that their name badges made them part of the MuseomixUK community. I’m sure no one understood what that meant. First step (in this fast forward version of Museomix) was a brief update to everyone on Museomix (I know they were still confused but they nodded in the right places). We also asked the Tech Shop and Fab Lab crew to talk about supplies and equipment available for teams to use (oh yes, this was met with massive blank stares but that’s ok as it made sense eventually). 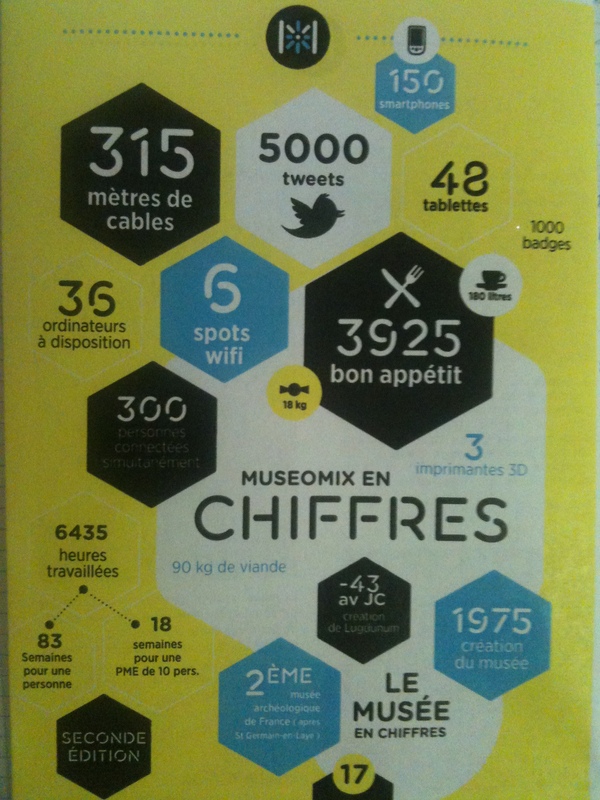 In 2011, I caught the hashtag #museomix on Twitter and immediately wanted to know more. 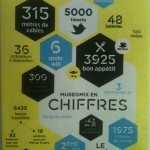 One little problem – it was on in French, a language I can’t read or write. But I could tell from the 140 characters that this was something magical I was witnessing. 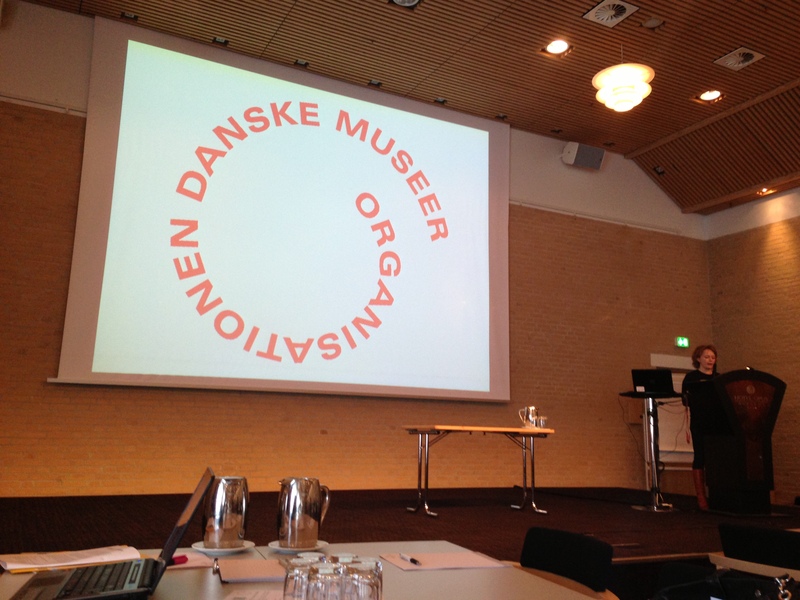 In 2012, I attend MuseumNext in Barcelona and heard Samuel Bausson speak about Museomix. He explained it came out of frustration – that real changes need to be done but it had to be changes made WITH people and museums. I was hooked, I knew I wanted to get involved. 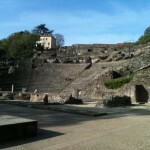 I was invited to help on the web team (social media) at Museomix in Lyon, France. Again, I don’t speak French so this was going to be a challenge – or so I thought. My job was to report and watch the hashtag for English input. What happened in those 3 short days was amazing. People who met each other on the Friday spent long hours all weekend to build a prototype as a team. It took a huge leap of faith from everyone involved: team members, coaches, organizer, the museum and more. This is not just about the prototypes – actually, it ISN’T about the prototypes – it’s about a platform for sharing, engaging and openness to happen in a positive way. I knew I had to bring this experience to the UK. I live in Shropshire and spent a lot of time at Ironbridge Gorge Museums (I have a tendency to call it ‘my’ museum even when talking to staff). 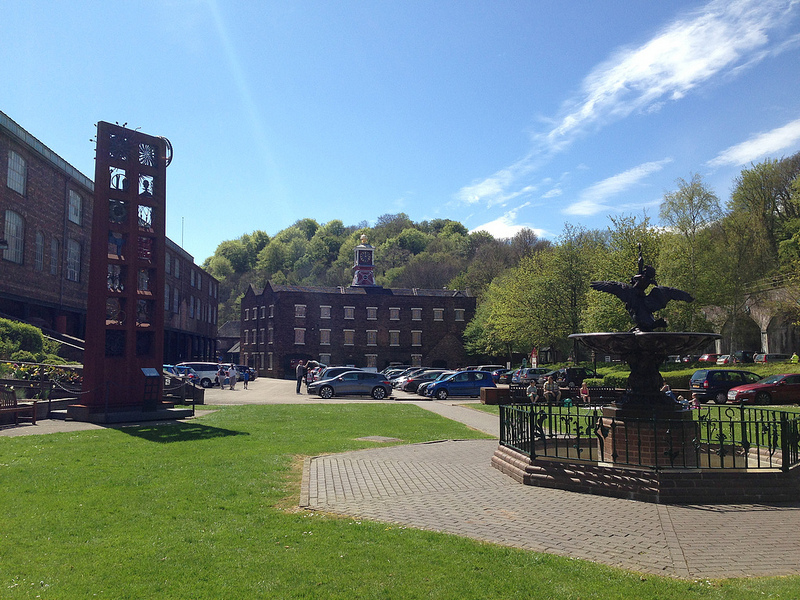 Ironbridge was the perfect choice as it’s home of the industrial revolution and Museomix is about taking things to the next level. It was a perfect marriage. I then decided to talk to the museum *ahem* and luckily they agreed. We knew last year when we started this process that it was going to be a long journey. At the time, IGMT didn’t have wifi (or very good mobile signal) and we had to worry about getting people to the venue as many (not looking directly at Londoners but near enough…) do not like to travel outside cities. The museum has embraced the challenges and not only had Wifi installed throughout the location, but they are the first museum on the Global Fab Lab network. That’s right, a permanent Fab Lab has been installed in Enginuity which will be available to the public, schools and private hire long after Museomix UK leaves. A year later and with a lot of support from an amazing Orga team, we are here. Museomix UK kicks off on Friday, November 8 with people travelling from all over the UK, France and Russia to join us in remixing Coalbrookdale (Museum of Iron, Enginuity, The Old Furnace and the land) at Ironbridge. But it’s not just here, Museomix is a Global event happening in 6 locations: 4 in France, 1 in Quebec and us. We will work 8am to 11pm Friday and Saturday with prototypes ready to view and be tested by the public on Sunday from 3pm – 5pm. There will be laughter, arguments, tears, ideas, thoughts, dreams, wishes, and cake. We have no idea until Friday at lunch what we are up against. It’s a mixture of excitement and quite frankly, fear. But I’m not worried. I know the people who are coming are bringing the most important thing: an open mind and a will to make a difference. If you would like to join us Sunday for the Open Day, please let us know here. Special Mention to Teresa M & Susan P for volunteering to bring smiles, we’ll need them! I’m Project Coordinator for Museomix UK, the only global Museomix happening in the UK and the only one that’s in English (4 locations in France, 1 in Quebec and us). The concept is not easy to explain as it’s an experience, not an event (although I tend to use both words). 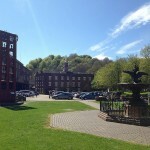 MuseomixUK will take place in Ironbridge (Shropshire, West Midlands) – the idea is it’s home of the Industrial Revolution and we’re trying to take things into the next revolution. I also wanted a location outside London, Birmingham, Manchester to prove that any museum could use maker communities to push things to a different level. Basically, we use the museum as a sandbox for people to create/remix a museum the way THEY want to do it. 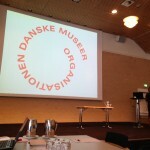 I’ve been trying to figure out how best to share my findings from the Denmark Museum Conference. There was so much insight over the 3 days, with the added bonus of having a tour of a few museums which included curators talk. For three days the participants co-create and test new ways of approaching exhibitions. networked and connected with diverse communities of visitors online and onsite. For me, MuseoMix is an experience. For others, it’s an ethos. For others it’s a project. Guest post from Laura Haapio-Kirk, community manager at sharypic.com, a collaborative photo sharing platform for events. Laura has an MSc in Visual Anthropology from Oxford University and is interested in museum experience. Photography is increasingly central to our everyday experience of the world, both as a means to mark significant moments and to document aesthetic sights (or, in some cases, to share what we’re having for dinner). However, in a museum we are often uncertain of whether photography is allowed and there is debate on the issue amongst museum professionals, with many institutions still hesitant to give full permission because uncertainty over lender’s rights (this informal survey highlights the issue nicely). Day 3 – the day when all teams shared their projects with *insert dreaded music here* The Public. In other words, it was a day of total concentration on projects. For my part, it was a hard day to try and capture in tweets or for this post so instead I went and made audio boos to capture the spirit of the teams, visitors and and support team involved in MuseoMix. The conference started off with the usual sign-in procedure. 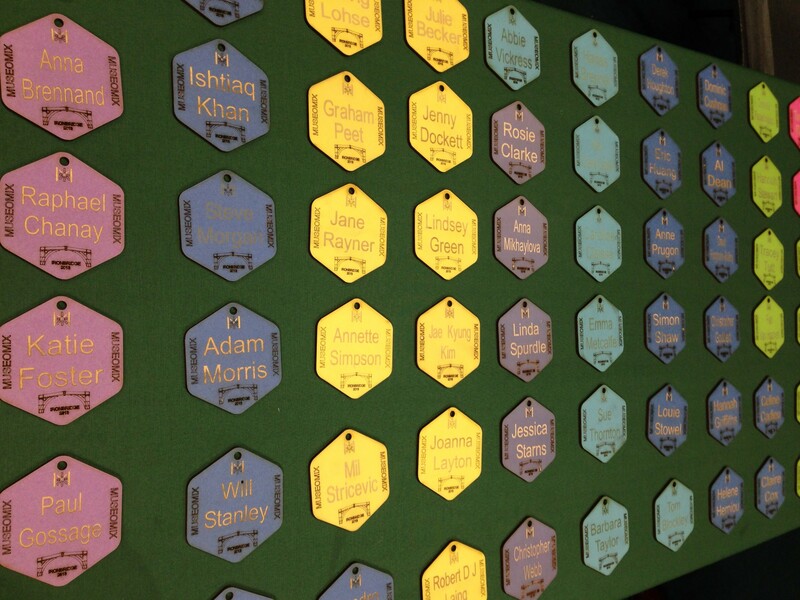 However, the badges were made via laser cut printers which are part of FabLab… what is Fablab? They are part of the Resource team…. Yep, this is Museomix – and the ethos gets thrown at your straight away. The concept is simple: Provide a venue that needs a good shake up in it’s collection/exhibition and way of thinking, invite museum people from around the country to apply to volunteer for 3 (long) days to create a better space, better way of thinking and better visitor experience. Chuck in some cutting edge technology (not that expensive), a few specific issues (via the Museum itself), a blank canvas and Playmobil. 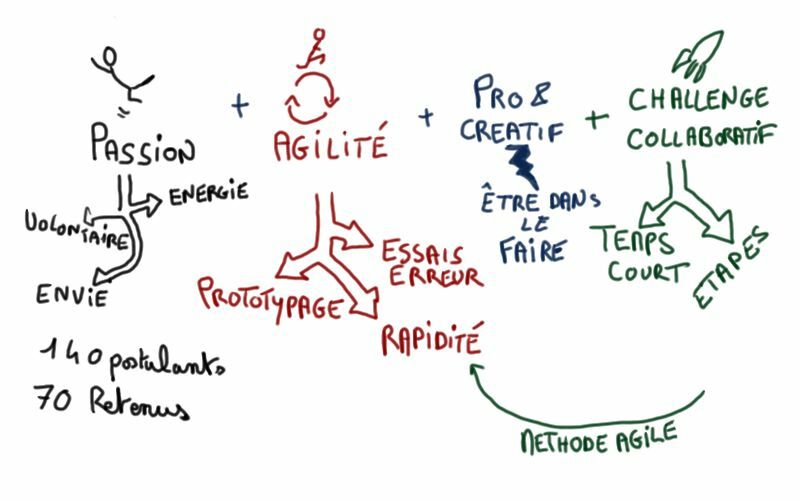 Ok, perhaps it’s not that simple – it is very much under the same umbrella as an Unconference but on a much grander scale. 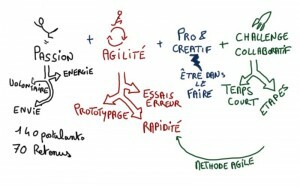 This week, I’ll be heading to Lyon, France to take part in a revolutionary approach to collaborative thinking. Museomix is a 3 day event which brings diverse participants from all over France together to brainstorm on new thinking. What would happen if you were provided a blank canvas to create a new visitor experience? 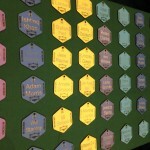 Museomix allows free thinking without restrictions. Participants will be put into various teams: thinkers, creators, testers – a true visionary process with no rigid outcome to aim for (the teams will set their own goals which I’m sure will be higher than anything anyone could set prior to starting). Each team will have a mixture of makers, developers, designers, museum people –producing a true Dream Team of creative thinkers. I first heard of Museomix last year when I caught a few Tweets from Claire Seguret from Musee de Cluny who was taking part. I tried my best to follow along with my limited (ok, non-existent!) French as it sounded like an amazing event. Fast forward to MuseumNext 2012 in Barcelona where I was able to hear Samuel Bausson from Museum de Toulouse share Museomix: remix your museum. Samuel talked about how Museomix 2011 was about this euphoric museum – where visitors are at the front of the design, not an after-thought. I knew I wanted to learn more about Museomix. 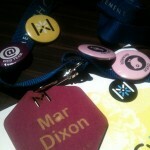 I am very fortunate to have a place at Museomix 2012 where I’ll be sharing my findings via social media (Twitter via #museomix, Facebook and blogging on Museomix Tumblr. I’ll be translating the participant’s adventures over the three days – along with sharing my own thoughts on my site. Hopefully, I will be the eyes for those that can’t be there. Please feel free to contact me if I’m clarification is needed. I remember what it was like last year to follow along not knowing what it was about but knowing it was something exciting. 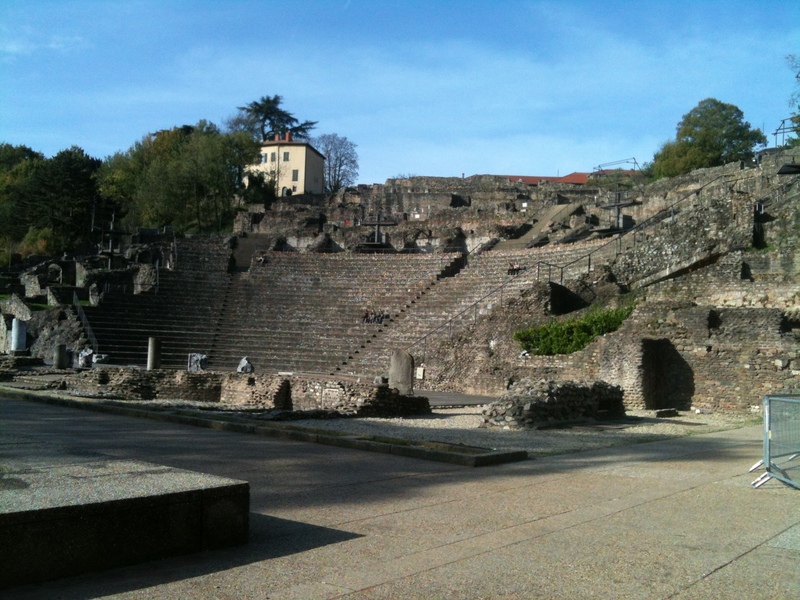 MuseoMix is taking place at Gallo-Roman Museum of Lyon. For those in France, there will be a chance for professionals and students to come to see the progress (please see website for more information). Looking forward to taking you on this amazing journey with me!